There is a great buzz around Longford RFC in anticipation of the Provincial Town Cup first round, where Longford Senior Men face Cill Dara in CPL Park next Sunday January 20th at 2.30 PM. 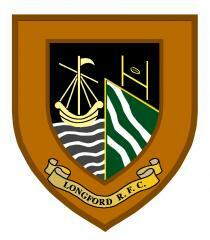 Longford have featured in one Provincial Towns Cup Final and three Plate Finals in the recent past. In 2013 Longford RFC reached the Provincial Towns Cup Final for the first time since the club was reformed in 1967; a historic year when Pat Fitzgerald, representing Longford RFC also become the President of the IRFU. He was the first Junior Club representative ever to hold this office! Indeed, last year Longford reached the Plate Final but unfortunately lost out to Naas in extra time. The Provincial Towns Cup is one of the oldest trophies in existence in Irish rugby dating back to 1892. The Cup originally named the Leinster Junior Challenge Cup was then presented on the inception of the Provincial Towns Cup in 1926. Longford RFC contested the 88th final v Tullamore and also reached the final in 1932, losing out to Dundalk. We invite you to come down to the first round match, which is always a great atmosphere, grab some lunch in the Sin Bin and roar the last on to the second round. The draw will take place immediately after the match at one of the Provincial Towns Cup First Round venues. The draw for the great prizes for the Longford Senior Men's Fundraising draw will take place after the Towns Cup match v Cill Dara on Sunday January 20th. There will be an opportunity to buy tickets before and during the match. All the money goes directly into funding the Senior Men’s sides. There are some big cash prizes to be won. You can read a report at this link on Longford's first appearance in a Provincial Towns Cup Final in 1932!